This is just too much! 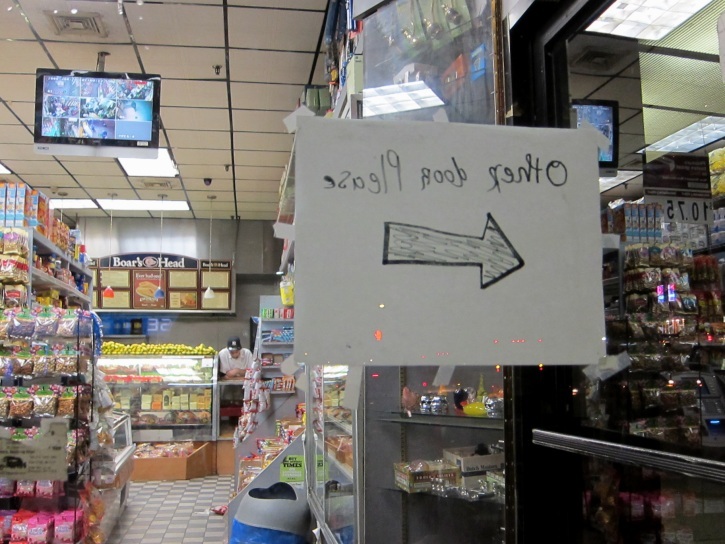 They expect us to be able to read backwards in order to shop here? 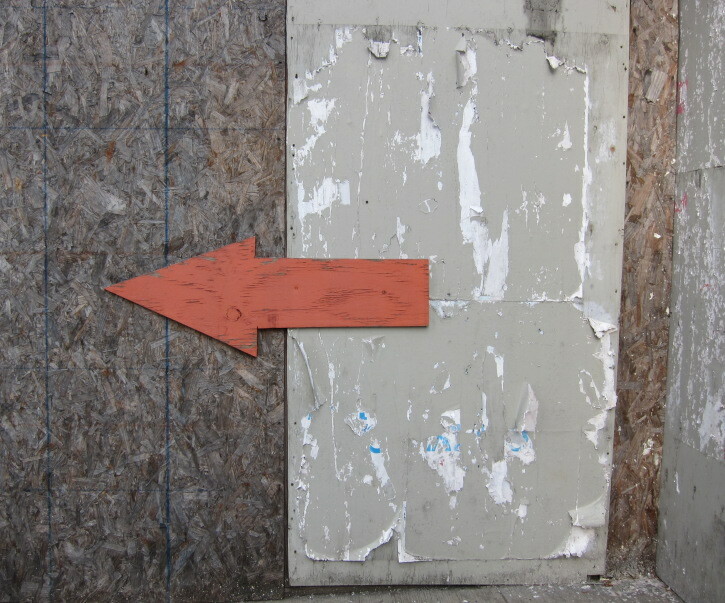 Cut out of plywood, painted red, and nailed to a construction wall, this arrow caught my attention. I noticed it currently serves no purpose other than decoration, though maybe in the near past it guided pedestrians through the site. Most arrows are accompanied by words. When they’re not, the meaning can be open to interpretation. Is this one pointing out water leaks? A schmutzy subway wall? Arrows on the stairs are optimistic. Stay to the right and you’ll be doing your part to help manage the rushhour crowds. Or just plunge up and down the stairs with everyone else.